The backing fabric which I chose first and inspired the color choices. 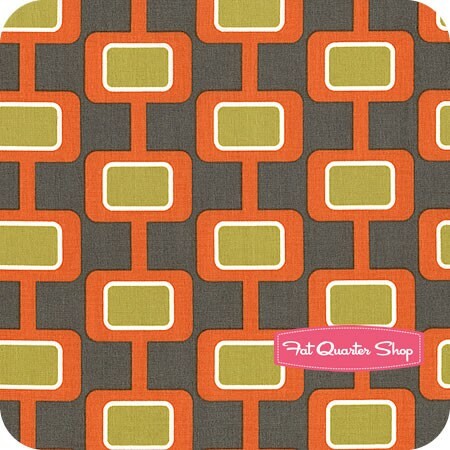 This is Mod Guys Gray Madison, from the Mod Guys & Girls collection by Michael Miller Fabrics. 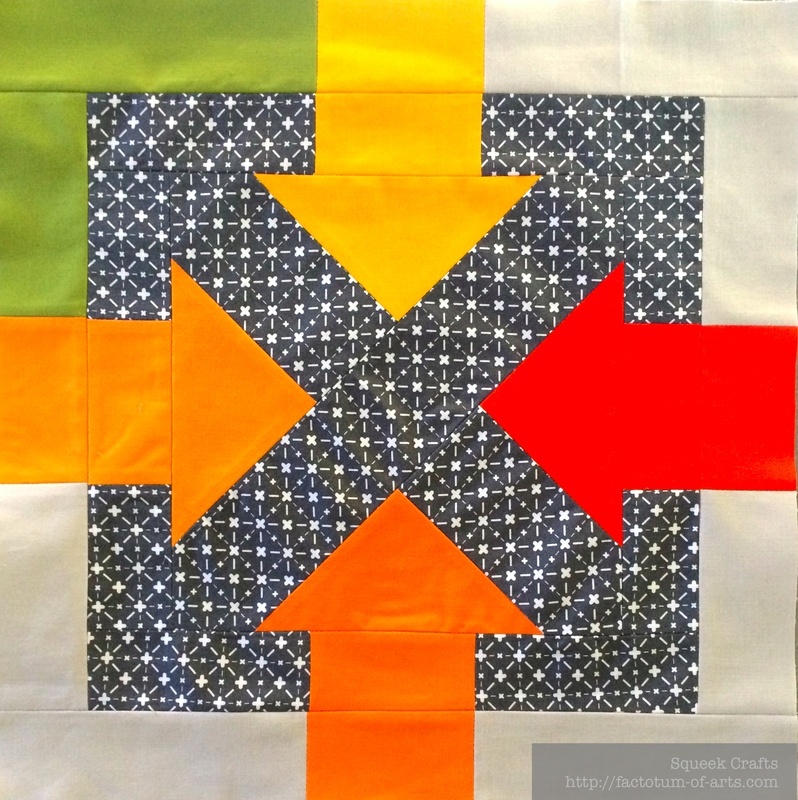 Kristel’s mini quilt project and how she played with the sashing. I loved this idea so much, that I mixed the green with grey sashing. I am planning on trying the circular quilting that Ashley did for her pillow on this mini quilt. I am a little nervous about this though. Lastly, I have fallen in love recently with Kona sunrise and sunset bundles/charms, mostly I think for the graduation of the color values. I want to incorporate that graduation of value with the orange arrows. Take a look at this blog post that goes through the construction of the block. Also, don’t forget the giveaway and check out my tester’s projects. They have all done a fabulous job. This entry was posted in Uncategorized and tagged michael miller fabrics, mini quilt, mini quilt project, mod guy, Mod Guys gray Madison, patchwork, pattern launch, pushme pullme block, quilting, sewing on November 2, 2013 by mlwilkie. Ohh.. this is going to be fun, I can tell already 😀 That backing print is awesome. Congrats on your fab design, Michelle! I love it!